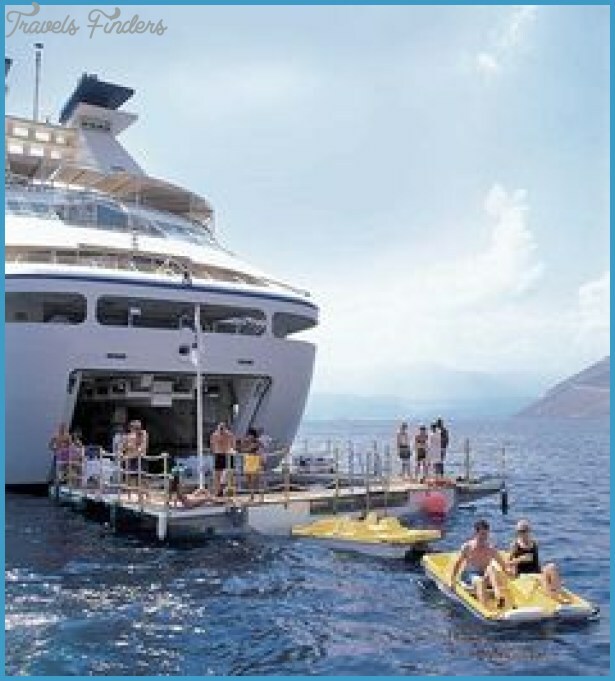 Fantastic Watersports: Thanks to a platform guests can kayak and waterski right off the back of the ship. Exclusive Beach Parties: The line’s Caviar in the Surf beach barbecue include plenty of champagne and, you guessed it, caviar. Game-Changing Cuisine: In late 2015, Seabourn partnered with acclaimed chef Thomas Keller to retrain its chefs and create razzle dazzle dishes unlike any being served at sea. Nontouristy Ports of Call: These small ships are able to visit smaller, less visited ports that bigger ships can’t access. Quiet Nights: After dinner, most guests retire to their cabins. Genteel and refined, these megayachts are intimate, quiet, and very comfortable, lavishing guests with personal attention and very fine cuisine. 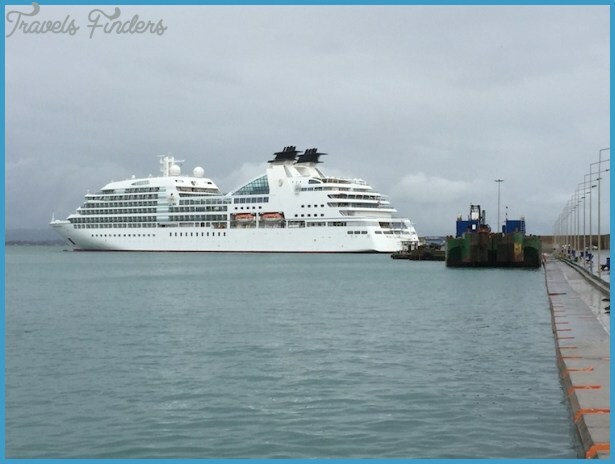 Its fleet of three (soon to be five) all entered service after 2009, making the Seabourn fleet one of the youngest in the luxury segment. These ships are ideal for sybarites. All rooms are suites, and all alcohol is included, so you can sip bloody marys all day long, if you like. Generally speaking, guests would rather socialize with each other than participate in organized games. Service is one of Seabourn’s strong-suits, with staff that know you by name from the moment you step on board. A high guest-to-staff ratio ensures that help or that bloody mary is never far from reach. 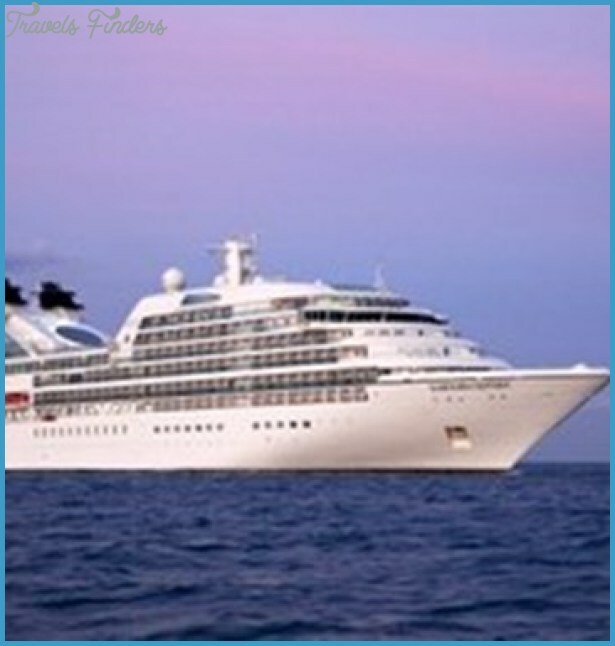 Seabourn offers Europe and the Caribbean but also the Panama Canal, South America, Arabia, Africa, Australia and New Zealand, India and Asia. 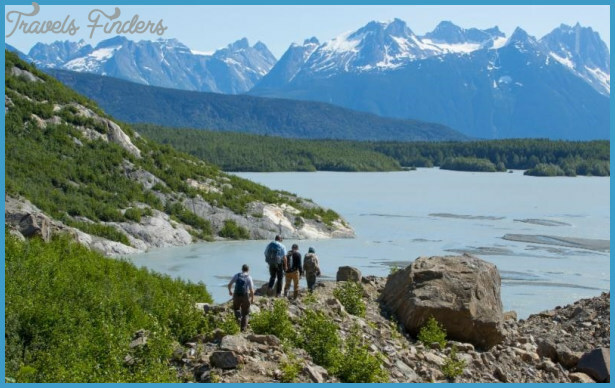 During the North American winter it offers expedition-style cruises to Antarctica. In 2017, the line returns to Alaska for the first time in over a decade. These well-off passengers are sophisticated, well traveled, and decidedly older. Most guests will hail from the United States, Canada, or England, but a handful of European and Australian passengers are usually on board as well. 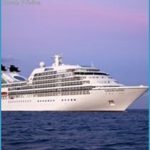 While you might see the odd family with children during the holidays, Seabourn doesn’t actively cater to children and the line’s loyal guests like it that way. You could wait for months to snag a reservation at the French Laundry (the Napa Valley restaurant some consider the best on the planet) or you could book a cabin on Seabourn. The line partnered with Per Se’s chef/owner/genius Thomas Keller in late 2015, and Seabourn has been slowly rolling out his meticulously sourced, inventive French/Californian fusion fare ever since. Considering that meals at The French Laundry and Per Se (Keller’s NYC restaurant) run about $600 a meal, Seabourn’s partnership makes its cruise price seem (almost) like a value. 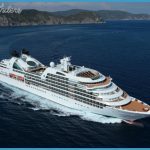 Even in the highly competitive luxury cruise market, Seabourn gets deserved bragging rights for this savvy partnership. The enrichment classes include impressive guest lecturers and there are cooking classes, and wine tasting lessons as well as a spa and a gym. A highlight: the impressive fold-out marina on the stern of the ship for waterskiing, kayaking, and other watersports. 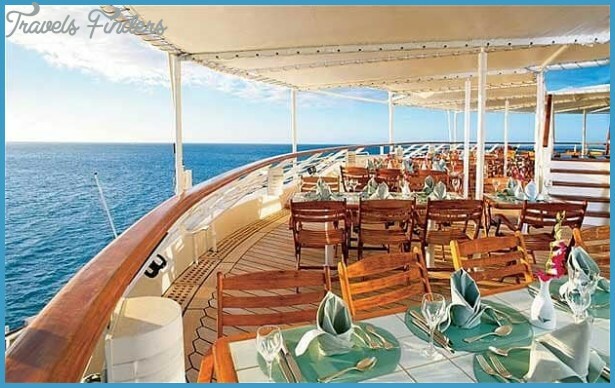 On some sailings, the line also hosts a beach party with caviar served in the surf. This is not a line that caters to families. 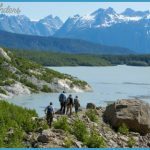 There are no kids’ facilities or programs, and those traveling with children are not common (and some might argue, welcome at least as far as your fellow guests are concerned). Evening entertainment is low key: cocktails and live, quiet music, like a pianist in the Observation Bar. Guests can also dance in The Club, or catch a magic show in the Grand Salon. 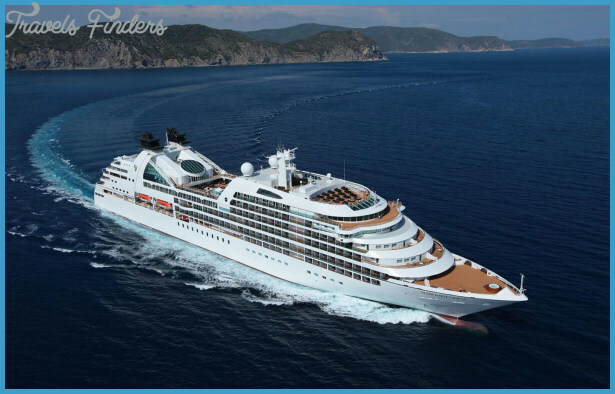 One of Seabourn’s strongest assets is its onboard service, which is polished and exacting. Mistakes are rare, and staff address guests by name throughout the voyage. In keeping with Seabourn’s all-inclusive policy, all gratuities for staff members are included in the cost of the voyage. 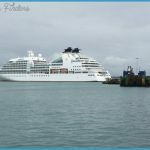 The 450-passenger Seabourn Odyssey launched in 2009, followed by sisters Seabourn Sojourn in 2010 and Seabourn Quest in 2011. 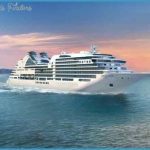 Seabourn’s newest ship, Seabourn Encore, will officially enter service in January 2017, and a sister-ship, Seabourn Ovation, is due out in 2018. 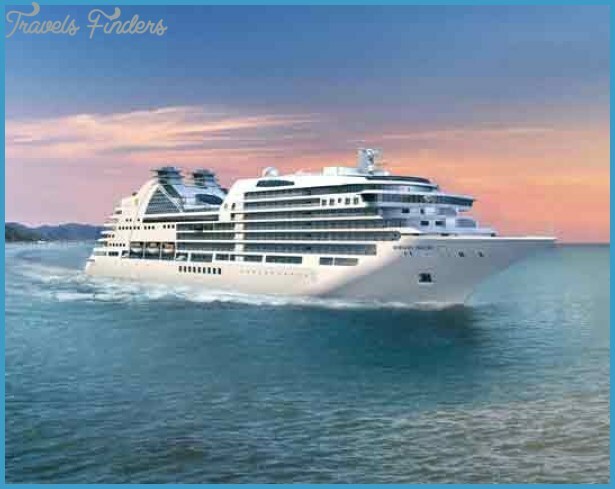 If you’re looking for the older Seabourn Pride, Seabourn Spirit, and Seabourn Legend, you’re out of luck: They were sold off to Windstar Cruises and now sail as Star Pride, Star Breeze, and Star Legend (see p. 371 ). These ships are all-around winners, with magnificent interior design, spacious suites, and a high passenger-to-space ratio that means things never get crowded. Cabins All cabins are suites, all offer ocean views, and nearly all have private balconies. At the entry level are the Ocean View Suites, which feature an oversized picture window, generous seating area, a bed that can be arranged as a queen or two twins and a bathroom complete with separate tub and shower. Veranda Suites include a private balcony and are a third larger but decor is nearly identical throughout: a softly muted color palette with fashionable furniture that doesn’t clutter up the room or distract by being over-the-top plush. 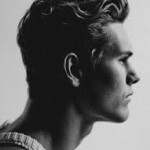 Lighting is indirect and flattering. Suites in all categories have sizeable walk-in closets and drawers that pop open when you give them a little push. The most over-the-top digs, the Wintergarden suites, have curved balconies that jut out over the side of the ship and a glass-enclosed solarium, complete with hot tub and day bed. Spa mavens will want to book the Penthouse Spa Suites, which offer the services of a Spa Concierge, plus private staircase access to and from the ship’s spa lobby. Public areas & activities Like a stretch version of Seabourn’s earlier ships, Seabourn Odyssey, Sojourn, and Quest offer plenty of space to kick back, and a number of swellegant public rooms to do so in. The Club is one of the primary social gathering spots, with an attractive bar, stage, dance floor, and plenty of seating. Up top, the ship’s Observation Lounge is the place to be for quiet sea days with a book; at night, this space turns into an posh piano bar. Evening production shows are held in the Grand Salon, which unfortunately suffers from poor sight lines thanks to a series of support pillars. These ships also have a small-but-functional onboard casino, a boutique, and a breathtaking atrium topped with a skylight and surrounded by a spiral staircase that’s one of the best examples of the architectural genre we’ve seen aboard any ship. 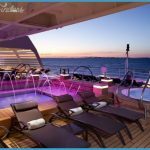 The Spa at Seabourn is an elaborate affair run with a thermal suite and hydrotherapy pool, a dry float, steam and sauna, and a full-service salon. The Fitness Center has all the usual equipment, plus a motion studio featuring a Kinesis Wall and Thai massage area. 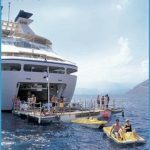 There’s also a Kneipp Walk Pool overlooking the stern that is designed to sooth and relax guests with its alternating baths of cold and warm water. 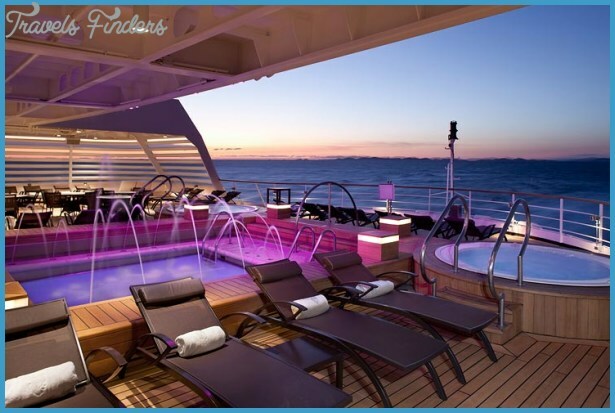 A pool and two hot tubs are located amidships, and are surrounded by comfortable lounges and tables. Dining The Restaurant is downright glamorous, with unusually high ceilings and billowy white gauze curtain dividers. Open seating is the rule; some dinners require a jacket, while others are jacket optional. But all feature dazzling choices from superstar chef Thomas Keller (listed on a separate sheet of paper within the regular menu). These might include butter poached lobster with a red wine jus, or roasted king trumpet mushrooms with lime scented tapioca pearls. It all will tango with your taste buds in a most delightful way. Restaurant 2, on the other hand, is open only for dinner and features nightly small-plate tasting menus. You’ll have to make reservations to dine here, but there is no extra charge for the meal. The Colonnade is the place for a quick breakfast or lunch and it is one of the most stunning indoor/outdoor dining areas we’ve seen. Dinner (complimentary but reservations required) is also served here, and takes its cue from Keller’s Ad Hoc restaurant, a paean to his childhood favorites (read: fine dining presentations of comfort foods like ribs and Waldorf salads). Casual fare during the daytime is also available at The Patio (think: burgers), and room service is available around-the-clock. 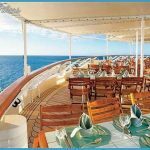 The Seabourn Quest has the only floating restaurant (yet) named for the famed chef: The Grill by Thomas Keller, a reworking of the classic American steakhouse. Tableside preparation of traditional Caesar salads and after-meal ice cream sundaes make dining an event here as does the hip decor by interior designer Adam D. Tihany (curvilinear lines, leather banquettes, and curving wooden ceilings). The Grill will be coming to Seabourn Odyssey and Seabourn Sojourn during their next scheduled drydock periods (which is ship-speak for, a few years from now.) There’s no extra charge to eat at The Grill.